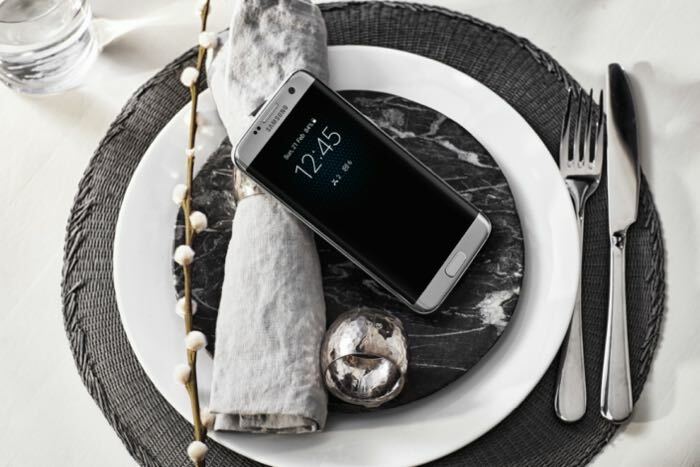 The new Samsung Galaxy S7 and S7 Edge start shipping today, the handsets launch on the 11th of March in retail stores and also with the major carriers in the US. Now it looks like T-Mobile may be offering a buy one get one free deal on the Galaxy S7 and Galaxy S7 Edge. 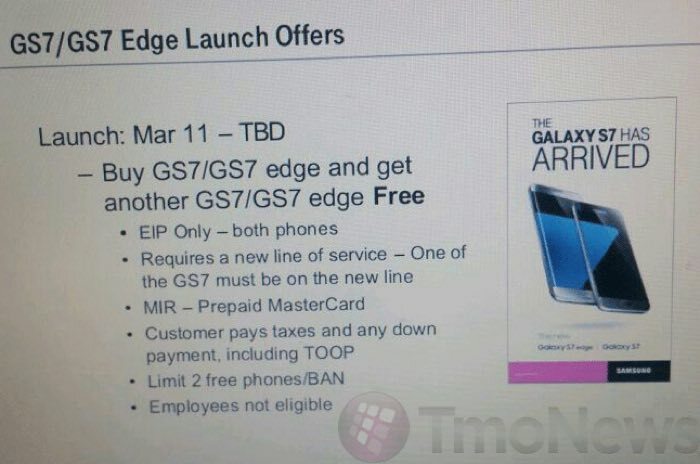 The news comes in the form of a leaked promo for T-Mobile which shows that the company will offer a buy one get one free deal when a customers takes out a new line from T-Mobile. This has yet to be confirmed by T-Mobile, although with the handset due to launch on Friday, we can expect some sort of official announcement from them about this deal shortly.